I think this may be my perfect Halloween stamping plate. I got Moyou London's festive 63 plate a couple of weeks ago, they released three new Halloween themed plates to their festive collection (I could only afford to buy one) and I instantly knew which one I needed to own! This is the first plate I own from the festive collection, but I'm sure I'll buy at least one when the inevitably release new Christmas themed plates later this year. I have always loved anything Halloween themed and witch-themed things are even better! So the second I saw this plate announced on Moyou's Instagram I went straight over to their website and ordered it! 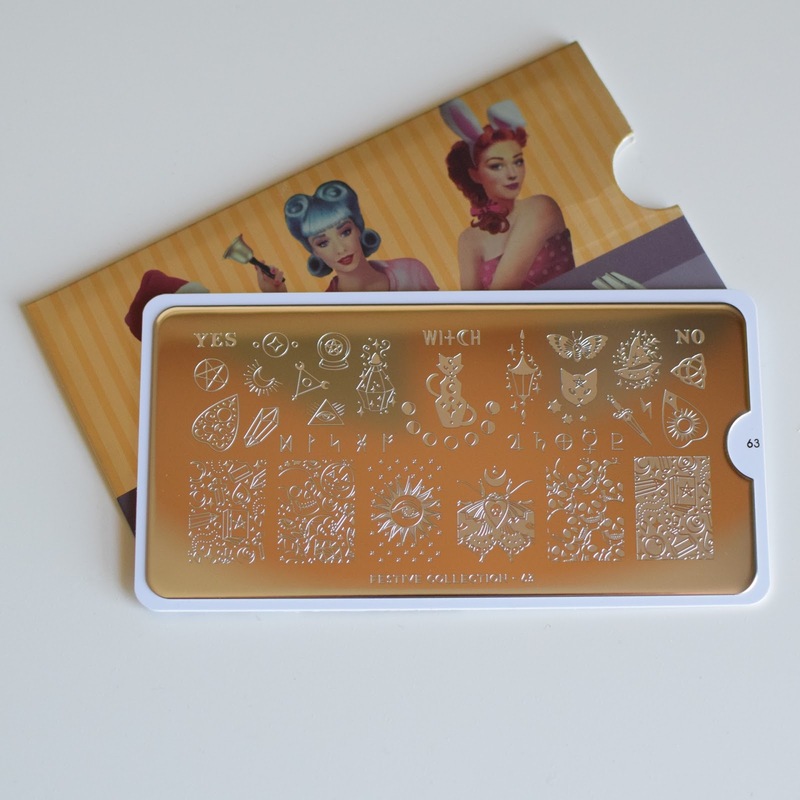 The plate is absolutely stunning, it has six full nail size designs and a ton of smaller designs of varying sizes. All of the designs are themed around witch things: pentagrams, ouija boards, cats, runes, potions, crystals and loads more. I think every single design on this plate is absolutely beautiful and there are so many designs that there are endless ways you can mix and match the designs.